Have you ever wanted a villain to win at the end of the story? If so, which one? 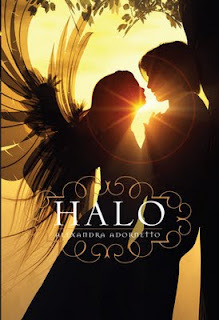 I think I'd have to choose Jake from the Halo trilogy by Alexandra Adornetto. When I bought Halo, it was mostly because 1. The cover is very pretty and 2. Ms. Adornetto/Grace is a young writer, and I wanted to see her writing level. I actually think she's a great writer... but I hate the idea of the series. Also, Halo went so slowly for me and the co-dependency of Beth & Xavier makes me think of Twilight all over again... only less realistic. And then, when you have the demon, who, by the way, isn't really all that evil and doesn't seem very dangerous, prance in and attempt to break up Beth & Xavier, well, yeah, I'm going to root for him. I rooted for him in Hades too (though I'm not sure why I bought that book since I didn't really enjoy Halo). 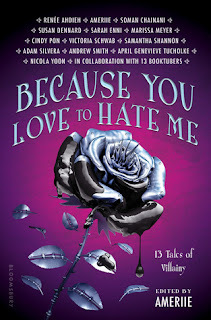 I can't really think of other YA books that have a villain who's more awesome than the protagonist and I don't read enough adult novels to think of one off the top of my head there. I haven't read this book but I generally want the main character to win! I haven't read Halo yet, but I completely agree with you from what I've heard about the series!